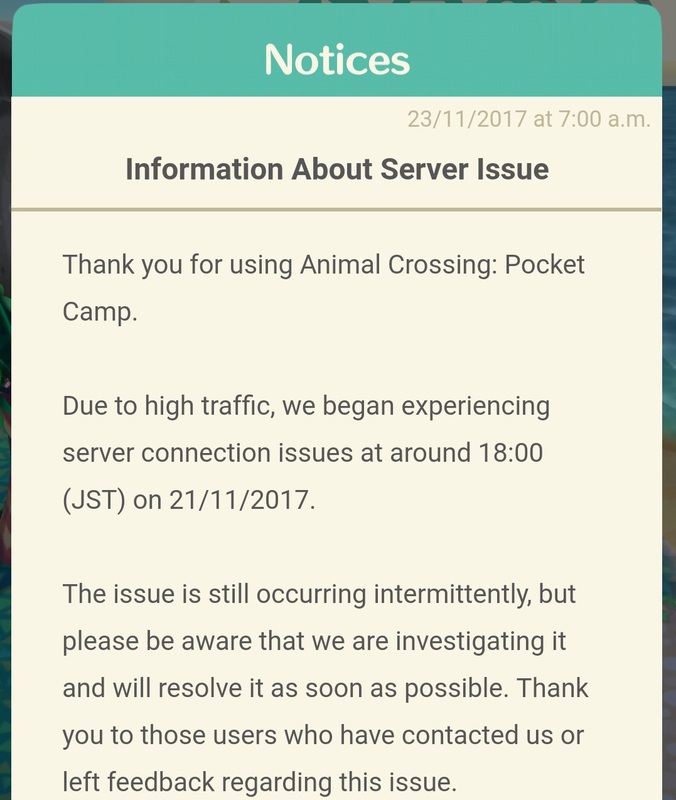 Update 3: today, Nintendo made some changes to Animal Crossing: Pocket Camp, in order to reduce server load and get rid of the communication errors. Check out this post for more details! Update 2: today, Nintendo announced they would soon carry out changes in order to less the load on the servers when it comes to communications (basically: reducing the amount of data transferred to/from the server). This should help with the intermittent error users have been experiencing since launch (though the situation has definitely improved in the last 24h). 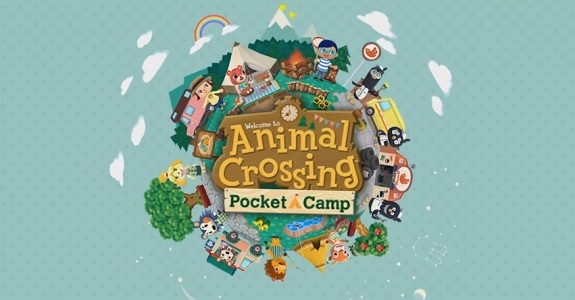 Update: today, Nintendo shared another statement regarding the communication errors Animal Crossing: Pocket Camp players have been experiencing since launch. Those errors are indeed due to high traffic, and are still occuring intermittently. The development team is still hard at work trying to resolve it as soon as possible. As an apology for the server issues, all players can get 20 Leaf Tickets for free, as a special Log-in Bonus. Check out this page for more details! Earlier today, Nintendo launched Animal Crossing: Pocket Camp on Android and iOS, one day earlier than initially planned (November 22nd). Unfortunately, it looks like that launch hasn’t been very smooth (though it certainly was during the first couple of hours), with many users getting communications errors (so many, in fact, that “Communication Error” ended up trending worldwide on Twitter, “thanks” to Japanese users alone). The “good” news is that there’s absolutely nothing wrong with your phone or your internet connection: the problem comes from the game servers, which are being completely hammered right now. As a result, simply playing the game can be quite the challenge… provided you even manage to get past the title screen. Earlier today, Nintendo shared a statement on the game’s official account (in Japan), explaining that the issues were cause by the number of players trying to access the game being above what they were expecting. As a result, the servers are simply unable to keep up, leading to communication errors such as [Support Code: 802-9009], [Support Code: 802-9809], or [Support Code: 802-4009], if not [Support code: 802-2609]. Right now, Nintendo is hard at work in order to find a way fix that issue and allow everyone to access the game. However, it does look like it’s going to take a little while… In the mean time, there’s nothing for you to do but wait until server capacity has been increased to cope up with the high number of players. No need to re-install the game, clear your cache, or anything. When the situation is back to normal, Nintendo will share another notice, and we will update this post. By the way, if you have any other issues with Animal Crossing: Pocket Camp make sure to check out this post!